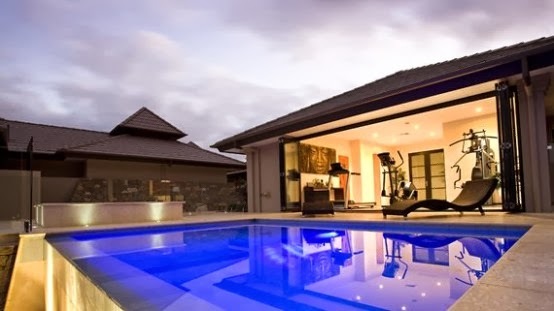 A lot of luxury homes have such memorable designs that everybody dream of live there and get inspiration for their own homes from them. 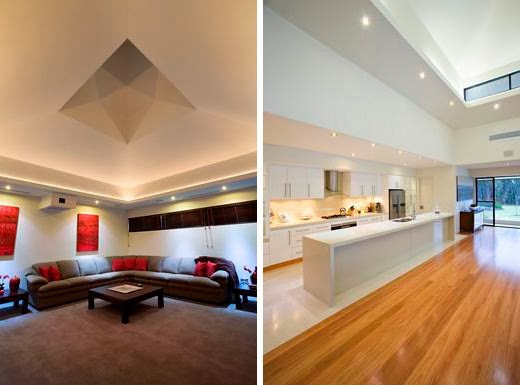 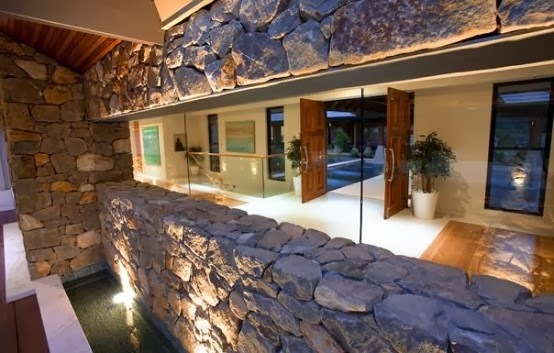 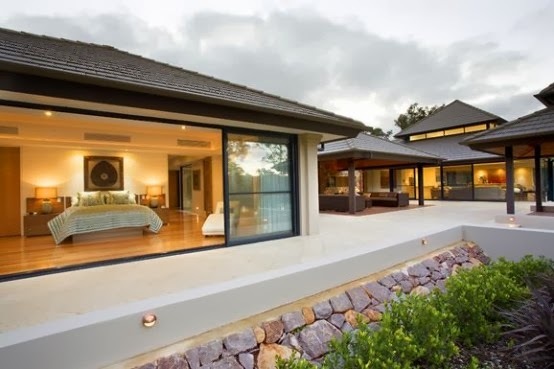 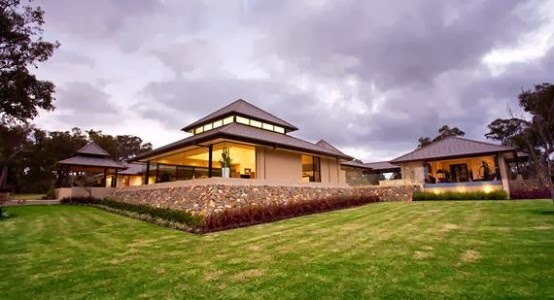 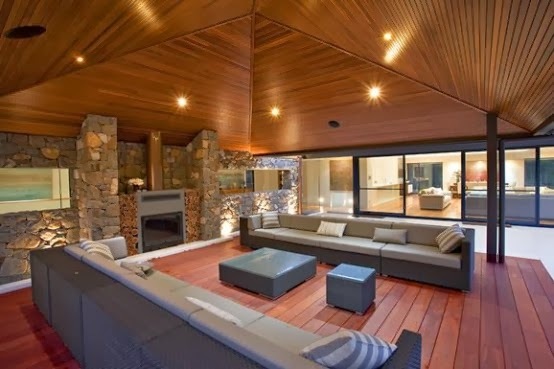 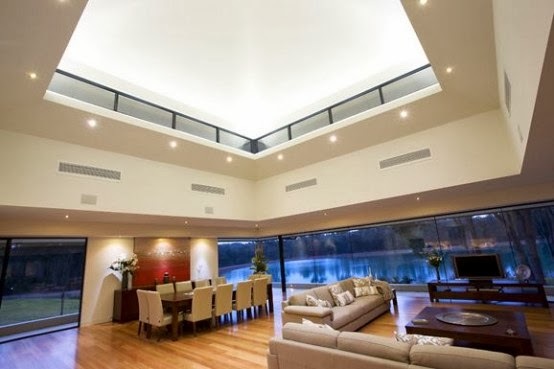 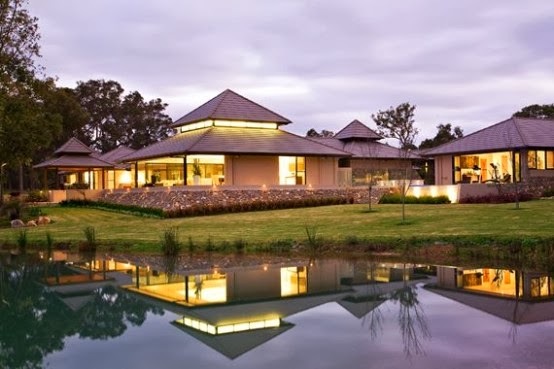 This house designed by Dane Design Australia is a perfect example of such design. 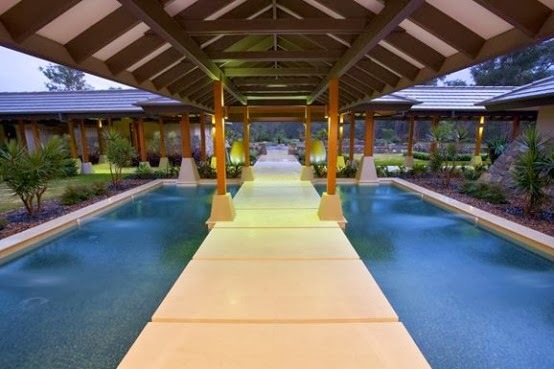 Located on a large site it consists of several separated pavilions focused on ten acres of deep clear water. 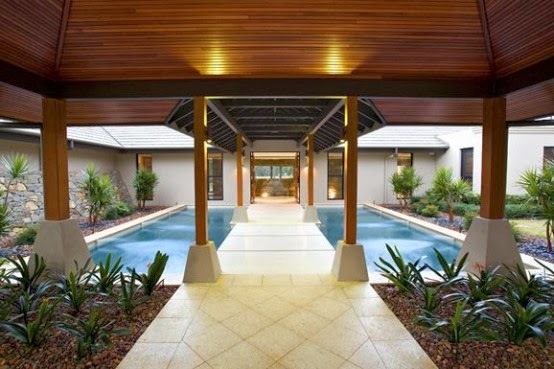 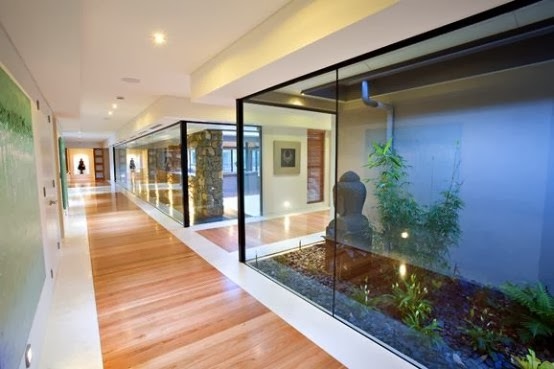 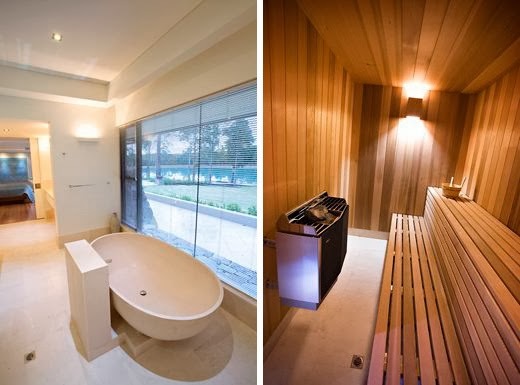 The zen-like design is chosen in order to make the home feel and function like a resort. 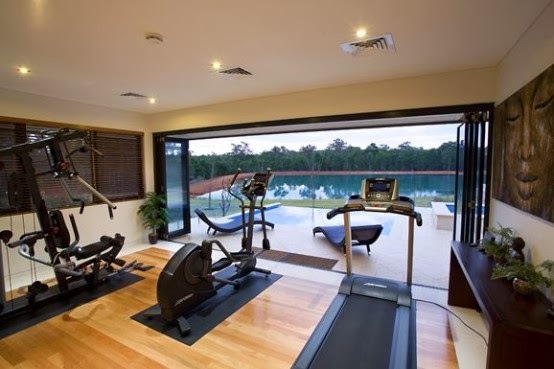 It has garden courts, gymnasium, spa and pool like every other resort. 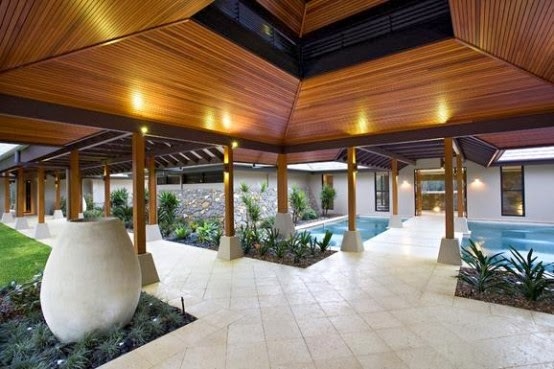 Public and private spaces are separated by open and closed breezeways. 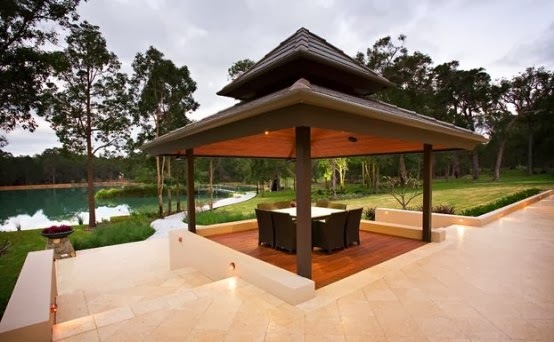 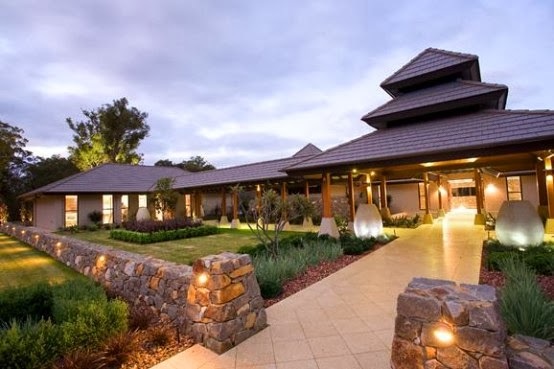 All pavilions are done in rich natural materials.